Home » Uncategorized » Digging at Nottingham Castle. Today I went to the castle to be involved in an archecologyal dig. I met ten other volunteers andvafter a briefing, we got down to business. 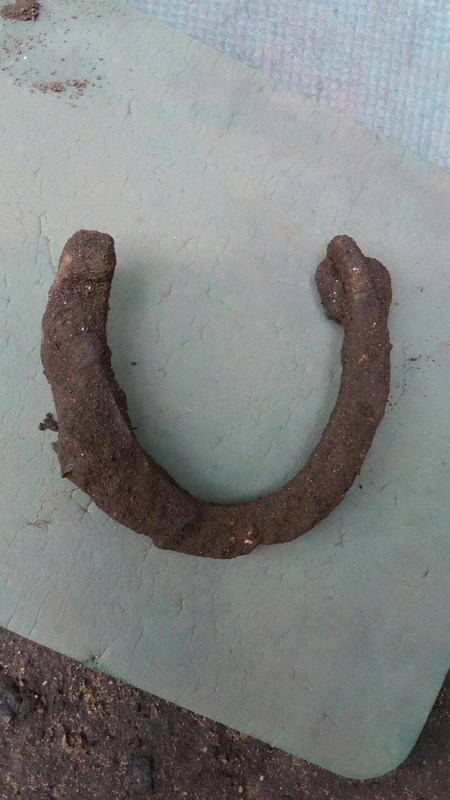 Almost immediately I found a horse shoe.